Crystal Palace's £75m asking price for Wilfried Zaha could price the attacker out of a summer move, according to a report. Ander Herrera's Manchester United contract ends in the summer. Paris Saint-Germain are considering a £65m offer for Crystal Palace attacker Wilfried Zaha, according to a report. Relive Sports Mole's live text coverage of Arsenal's 3-2 defeat to Crystal Palace at the Emirates Stadium as the Gunners slipped to a rare home defeat. Crystal Palace reportedly place an £80m price tag on wantaway winger Wilfried Zaha amid alleged interest from Liverpool, Chelsea and Arsenal. Wilfried Zaha claims that David Moyes attempted 'to play mind games with him' during his brief period at Manchester United. The Palace forward has put top clubs on alert by admitting he feels he is 'missing out' by not playing in Europe's leading club competition. Wilfried Zaha says that he is "too ambitious" to stay at Crystal Palace as he reveals his desire to join a club competing in the Champions League. Wilfried Zaha insists that his 'future is at Crystal Palace' amid suggestions that Manchester United want to re-sign the attacker. Manchester United are reportedly considering a summer reunion with Crystal Palace winger Wilfried Zaha. Roy Hodgson hopes to have rumoured Manchester United target Aaron Wan-Bissaka at Crystal Palace next season, but admits that every player has their price. A report claims that Manchester United lead the way for Wilfried Zaha's signature and they can land the Crystal Palace ace for a cut-price fee. Manchester United to drop Jadon Sancho interest and re-sign Wilfried Zaha? Manchester United are considering re-signing Wilfried Zaha from Crystal Palace in this summer's transfer window, according to a report. Palace face Huddersfield still desperate for points to avoid relegation. Ben Foster is Watford's first-choice goalkeeper but Gomes has been involved in the knockout competition. 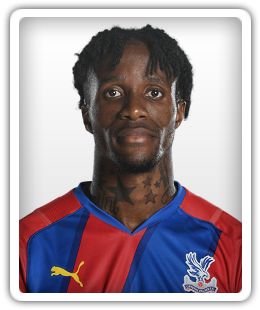 England risk missing out on Crystal Palace right-back Aaron Wan-Bissaka as Congo are keen for him to represent them further down the line. The Eagles boss considers Watford to be a London club despite the fact they are based in Hertfordshire. The Hornets take on Crystal Palace in the FA Cup quarter-finals this weekend. The likes of Harry Kane, Jack Grealish and Wilfried Zaha have all had decisions to make. Bayern Munich, Borussia Dortmund interested in Crystal Palace pair? A report claims that Wilfried Zaha and Aaron Wan-Bissaka have emerged as targets for Borussia Dortmund and Bayern Munich respectively. Zaha has scored five goals in his last five games for Crystal Palace. Zaha scored his fifth goal is as many games in a 3-1 victory for Palace. Leicester are winless since New Year's Day after a 4-1 defeat to Palace. Sports Mole selects its Premier League team of the week for gameweek 26, including two Manchester United players, three from Liverpool and four from Manchester City. Wilfried Zaha forced a draw after Mark Noble fired West Ham ahead. The winger was sent off at Southampton. Zaha scored and was then sent off in the Eagles' 1-1 draw at Southampton last month. The charge relates to his reaction after being sent off against Southampton in midweek. The tricky forward was sent off against Southampton.